It is apparently unavoidable. 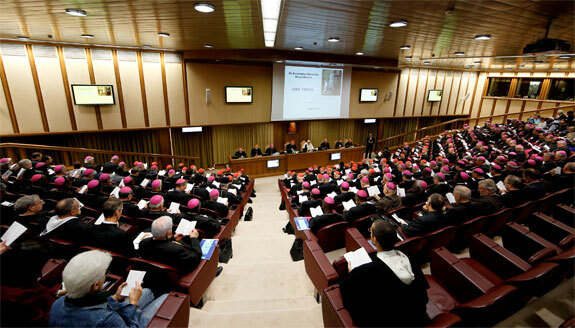 The Extraordinary Synod on the Family is at its midpoint and certain degrees of separation are clear: There is a divorce over divorce, remarriage, and Communion. The just released midterm report comes as the Synod completes the first week of presentations and interventions. Now participants will break into language groups—about ten groups—to discuss how the pastoral applications of some of the proposed approaches might be applied to people in the pews. The most contentious topic has been how divorced and civilly remarried Catholics might be “welcomed” with compassion and even assisted “toward” a re-admittance to Holy Communion. The divorced and remarried should be “accompanied” by the Church, according to the so-called, Kasper proposal, after Cardinal Kasper of Germany. The measured rebuttal is exemplified by Cardinal Pell of Australia, who agreed that mercy and compassion are pastoral imperatives of the Church, but, that does not require “doctrinal backflips.” How this gap over pastoral care of divorced and civilly remarried persons will be bridged is the Big Question as the week progresses. Theologians may parse this concept, for surely an imperfect understanding of marriage and remarriage can be held by persons who mean well. 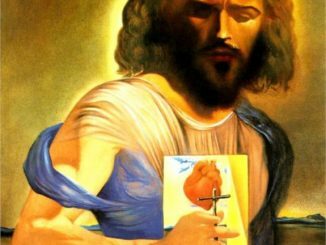 The goal of the Church is to teach that well meaning must be aligned with well doing for the faithful Catholic, before full communion is possible. Such loose “pastoral” approaches risk further erosion of marriage as an institution. Many more will now become comfortable with their “irregular” situations, and why not? Language matters and this imprecise language opens a Pandora’s Box. Mary Jo Anderson is a Catholic journalist and speaker whose articles and commentaries on politics, religion, and culture appear in a variety of publications. She is a frequent guest on EWTN's "Abundant Life," and her monthly "Global Watch" radio program is heard on EWTN radio affiliates nationwide. She was appointed to the United States Conference of Catholic Bishops National Advisory Council (NAC), 2010-2014 and served as member of the NAC Executive Committee in 2011. Follow her on Twitter @maryjoanderson3. My Question for the Synod: Where’s the Sacrifice?